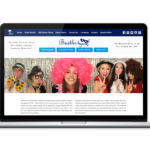 A short journey from our Hillington Showroom a Photo Booth Hire Renfrewshire covers Bishopton, Bridge of Weir, Erskine, Houston, Johnstone, Linwood, Paisley, Ralston, Renfrew and surrounding areas. We have set up at loads of great venues across this area since we started in 2015, so give us a call and we can discuss whether we have been to your venue before and if we have how it was set up last time. Venues visited in the last year include Mar Hall with it’s huge marquee, perfect for laying the LED Dance Floor in the morning along with the Giant Light Up Letters, giving you a great effect for the whole day. 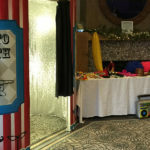 The Photo Booth is then built at the changeover hour in the corner opposite the bar, which has loads of space for the props table and a table for a Guest Book if you book one of these also. Not far from Mar Hall is the exquisite Ingliston Country Club, a beautiful venue with loads of great space for our products. The dance floor area is big enough for a 16ft x 16ft floor with the Light Up letters usually positioned at the windows for the full day. 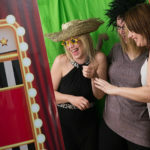 The Photo Booth and Candy Cart are usually positioned in the break out area where the buffet is served and there is some comfy seating for a wee 5 minute break from the dance floor. Our last shout out in this area goes to the impressive Lynnhurst Hotel, newly decorated and looking great! The conservatory area here is perfect for the Photo Booth and Candy Cart with plenty of space for the Light Up Letters in the main function room. A great venue and one we love to get bookings for! Only a few of our favourites listed above but we have been to many more and look forward to visiting them again so give us a call and we can discuss how we have set up previously or if it is a new venue we will visit prior to the day so that we know the set up.